SpellingCity offers a fun and easy way to practice spelling words and vocabulary. Teachers and parents can create their own spelling lists, save lists, share lists or use those already provided. Students enjoy the benefit of hearing the 43,000+ words and sentences spoken by a “real” human voice. Users have a variety of options available, such as the ability to see spelling words in flashcard format, hear them spoken by a real human voice, play games with the words, and even take practice spelling tests. With each created list, a student has the option to: Teach Me, Test Me, or Play A Game. The “Teach Me” option allows students to reflect on each word of their spelling list while the list and coordinating sentence are being read aloud. The “Test Me” option allows students to take a test from any spelling list at any time. This test option gives the students the ability to hear just the word or have a sentence read. The “Play A Game” option allows students to play a variety of learning games with any spelling list. 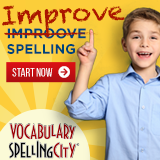 SpellingCity offers learning games such as HangMouse, Word Search, Unscramble, and many more. Visit SpellingCity for more information. Spelling City does not seem to be free any longer. I used it a few years ago as a free resource, but switched to the paid because I wanted to use the additional features. I do find it is worth the extra $$. My now 10 year old daughter uses it independently and as much as I would like to sit with her and teach/review spelling words with her, I do not. Spelling City has relieved a little of the guilt. Pros: Great games, engaging and editable lists. I discovered it a couple of years ago and we really enjoy the site. My older child can practice spelling in a variety of ways which makes it easier,I think,to recall the spelling of a word. Now my younger one uses it to do kinder spelling/wall words. I also enjoy the fact they are linked to other sites that are very helpful for other subjects, though we haven’t taken good advantage of them yet. I recommend it to anyone,adult ESL or child that wants to give variety to their spelling / vocab drills. I have used Spelling City for a couple of years now. I place the words for the particular grade my child is in in a list format weekly. Then I test in about 1-2 weeks depending on how they are doing on it daily. I’m very pleased with Spelling City! We’ve been using spelling city and LOVE it!!! It has been wonderful since it’s FREE (YIPPEE)!!! I find spelling words for my daughters grade and put them in a binder – she is responsible for inputting the words into Spelling City each week, doing games and reviews with them and then having Spelling City give her a test by verbally saying the words and using the word in a sentence and then she types in the word…it’s GREAT!!! LOVE IT! Pros: Free ,Fun & it works! Yes!!! We are HUGE Spelling City Fans! SpellingCity is a great option for spelling practice and it’s free! You can use other teachers’ lists (although sometimes they’re hard to find) or make your own. There are several game options. However, my son bored of them quickly, so SpellingCity wasn’t our only resource used. I also found the site hard to navigate at times, but the site owner is very open to comments and suggestions. Pros: Can input your own spelling list, fun games, and test of knowledge with immediate feedback, Paid for version keeps track of students activities and test scores. I have the paid version. I use wordly wise 3000 and input the words as their spelling list. It gives definitions for the words or I can write in my own definitions. I like that the program allows each student to enter under their own user name and password and keeps track of the amount of time each student spends on which activities. It also keeps test scores. Parent/Teacher has own log in and password. I’ve been using this FREE online spelling program for my 2nd grader this year. I haven’t started a formal spelling curriculum with her yet, so Spelling City allows me to do some spelling instruction with her and gives her a FUN and independent way to study her words. It is a bit tedious to enter the words, but after that, she is able to test herself with correction from the “computer” not from me 🙂 She also loves playing the fun games like Hang Mouse and Unscramble, which serve to further enforce the spelling words. I only use the free program so cannot comment on the premium membership. This has served our needs well for a fun, yet informal, spelling curriculum. My 2nd grader loves using Spelling City. He completes his very simple spelling lesson on Day 1 & 2 in his workbook and then on Day 3 & 4 he plays games with the words I import for him. Then on Day 5 he takes a test. I like the concept and some of the games are very good at getting the kids to think about the spelling such as Unscramble, Word Search and Cat & Mouse but others just pronounce the word and I don’t feel like they really help with the spelling of the words. Cons: we haven't found anything yet. 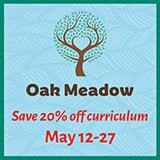 My kids have just started using this website this year and they love it. They love practicing their spelling words on this site. It makes it fun for them. This is a wonderful site. I use it with my 8th grade twins. I am able to submit the word lists all in advance and they can independently go to the site, view the words, practice with the words and at the end of the week, take a test and provide me with the certificate. The online word games are fun to use. You can tailor your word lists to whatever tasks you are doing in your homeschool. If you are studying science, make a science word list; reading a particular classic book, make a word list that corresponds with the book. Great site!! We have used this free resource for years. We can input our own spelling lists or borrow lists that others on the site have used. After I type in the list, my children can navigate the rest on their own.